Ross Bowns is an artist and art instructor working in California. 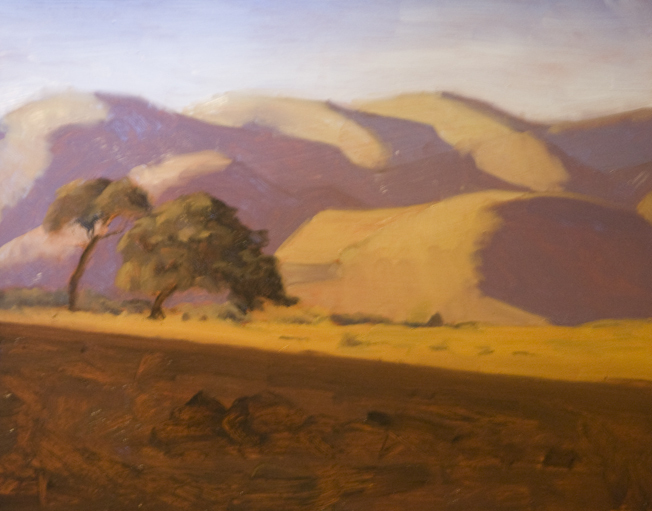 His interests in art are in semi-abstract figurative art but he enjoys teaching broad range of subjects from basic drawing techniques to painting the landscapes. 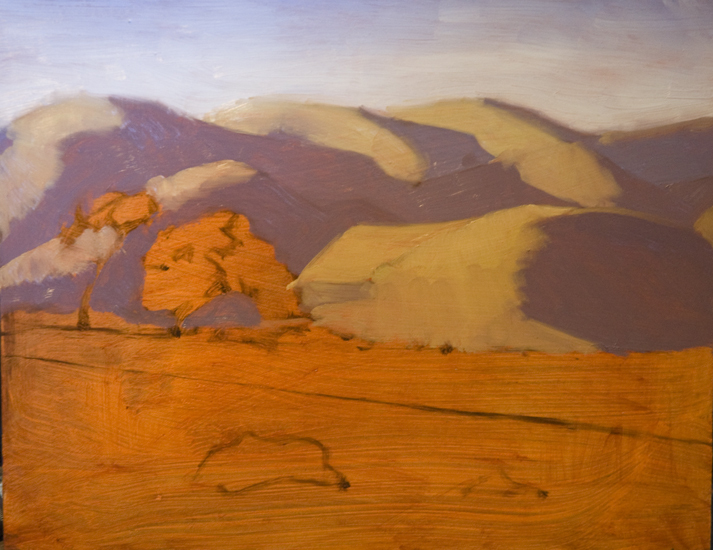 He received an MFA in Fine Arts from The Academy of Arts University and a BA in Studio Arts from CSU, Sacramento. Ross currently lives and works in Sacramento, California. 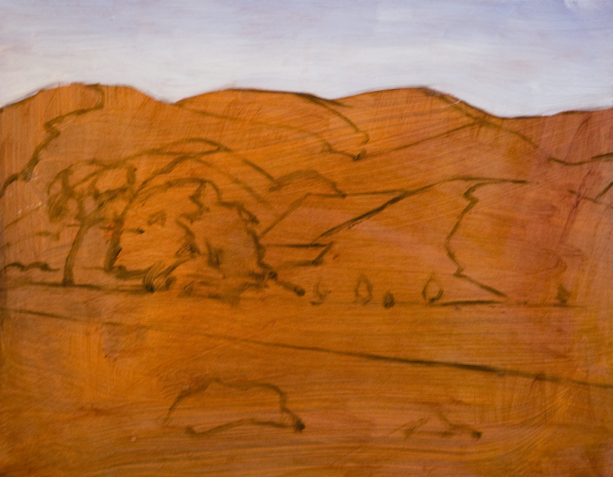 I start by toning the surface of the canvas with a color to knock down the white of the gesso. This also gives me a warm surface to build on as I paint, creating a nice contrast of color as the tone peeks through the painting. 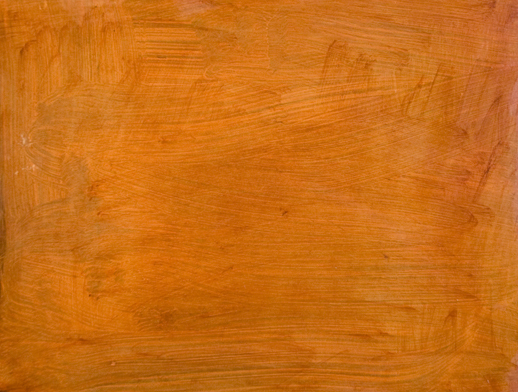 I used Burnt Sienna for the tone. 2. Draw in the shapes found in the landscape. 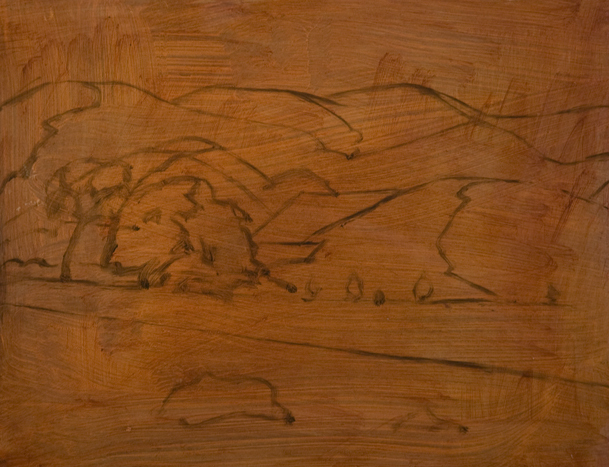 I took Raw Umber and drew in the shapes with a small paint brush. The shapes don’t have to be precise, we are not copying a scene exactly. We are using the scene as a reference or guide. The scene just provides the material, we will decide how to organize the composition and what colors to use. In landscape painting, it is better to work from the back of the scene to the front. This helps us organize our color easier and makes it easier when dealing with overlapping objects. 4. Paint the shadows of the far hills. 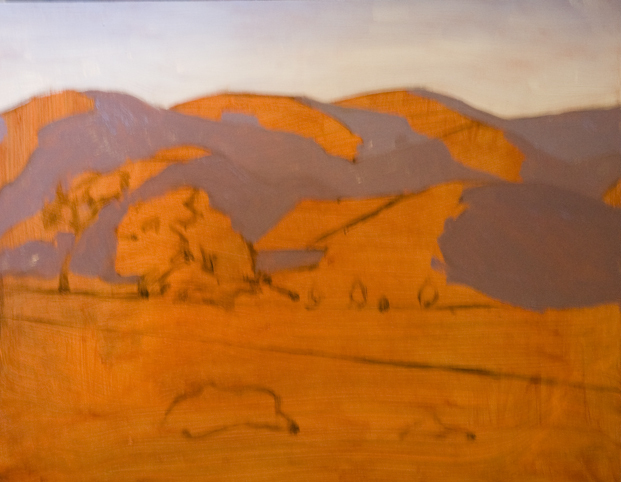 The hills are off in the distance so I am keeping the shadows light and cool to suggest there is atmosphere between the hills and the viewer. Because of this, as objects move forward in the scene the shadows will get darker and warmer. Notice that I painted the hills purple. Right now the colors seem out of place and exaggerated. Don’t worry about that. Once color is added to the rest of painting the purple will fit nicely. 5. 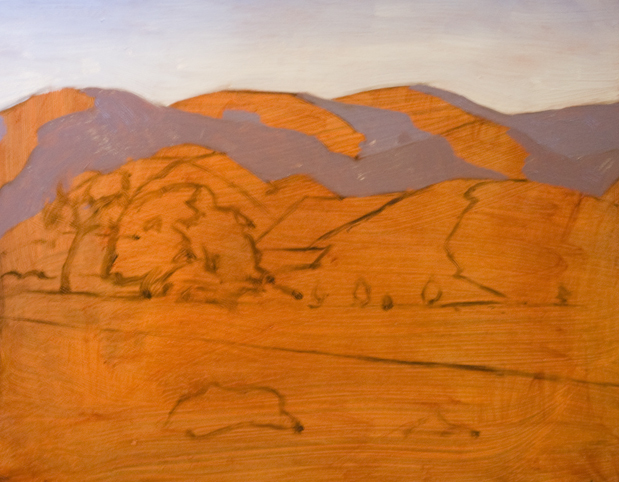 Paint the shadows of the hills closer in the scene. I have adjusted the temperature of the color to be slightly warmer and the value to be slightly darker, but I am careful to make sure the changes are not immediately noticeable. The hills are meant to read as one body in the plane of space they occupy. To do this, I avoided any strong contrast. 6. Paint the light side of the hills. 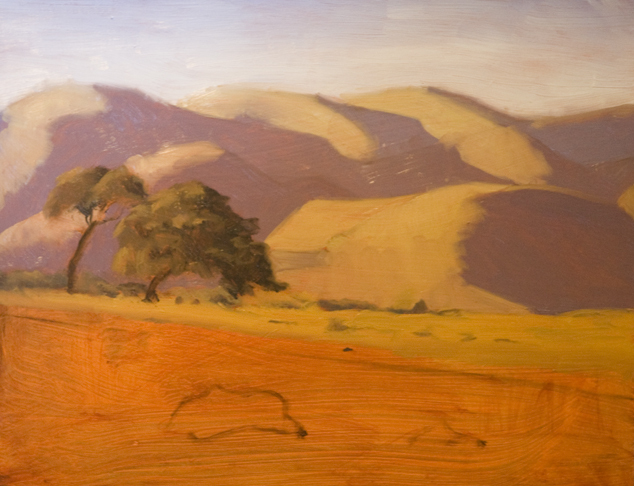 The grass of the hills is that golden brown but I want to create atmospheric perspective. To do this, I am keeping the color and value close to the sky and shadows. This will make the mountains read like they are off in the distance. I painted the the plane of the mid-ground warmer than the hills by adding a little red to the paint I had already mixed for the hills. I also darkened it by adding a little more yellow ochre. 8. Paint the shrubs and trees in the background. Little marks and daubs of paint are all that is needed here. 9. 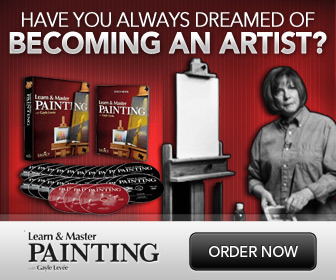 Paint the large trees. I want these to be the focal point so I am painting the trees using colors that contrast with the colors around them. I am also painting the values darker to create a value contrast. In this example, my foreground is the in a shadow from a cloud. I painted the grass as if it were in shadow. Here, I made the shadow very warm and dark compared to the background by using red and browns.I also just suggested the shrubs with the brush strokes, so as not to draw attention to the foreground. 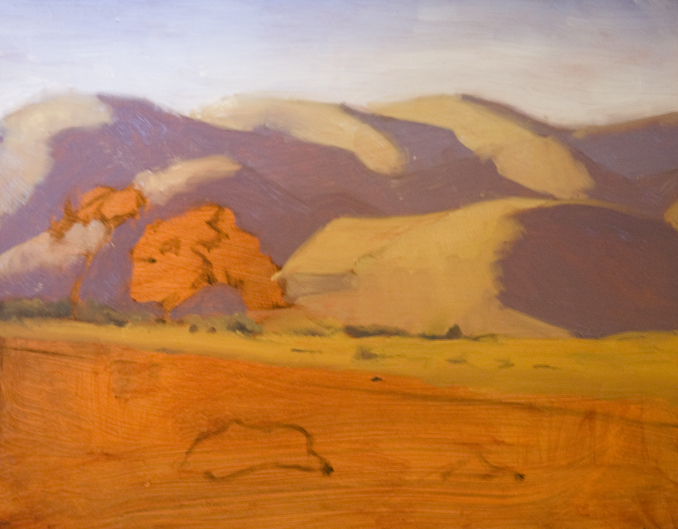 This example is just one way to paint a landscape. Remember to work from back to front of the scene, warming the color and darkening the value as you move forward in the scene. 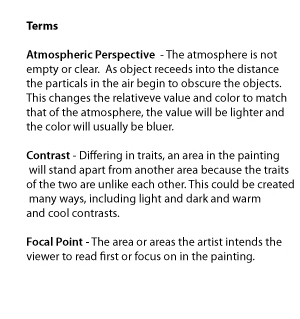 This will create atmospheric perspective.Do not try to copy exactly what you see. Use the landscape you see as a guide to set up a good composition. This means you can leave out objects, put in objects, change the placement of things, and change the colors to fit your goals. Very simple easy to follow demonstration. Great for anyone just starting. this pic iz really awsome! i am fond ov painting landscapes but unfortunately i dont hav knowledge abt dat! 🙁 i feel lucky for those like u who can paint such an awsom scenes!